…is perched on the Firostefani area caldera cliff side . At an altitude of over 300m conveniently just a few minutes walk from the island’s capital Fira. Embraced by the traditional cliff side settlement, our venue offers unobstructed panoramic views of the Caldera, volcano, caldera bay, Aegean sea and the breathtaking Santorini Sunset. 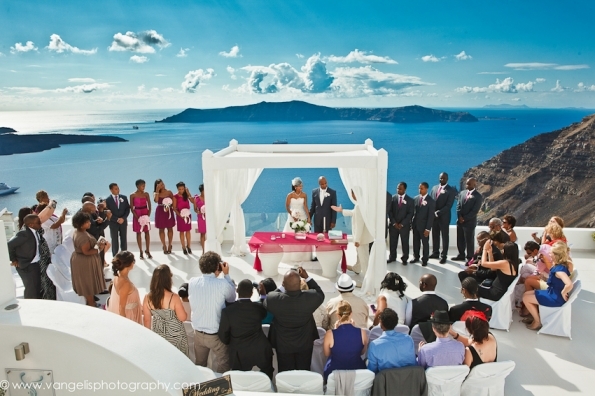 The perfect, elegant and luxurious venue for your magical Santorini wedding in harmony with Greek island architecture. A bright white color setting embracing a central cycladic canopy with bright white curtains. Apart from the the breathtaking location,views and beauty, our immediate surroundings offer a traditional settlement of unique architectural beauty and an ideal location for a photo session before or after your wedding ceremony. Our Wedding Venue is located within the traditional cliff side settlement of Fira in the are called Firostefani. Firostefani is conveniently located only a few minutes walk from the capital’s(Fira) central square and in our are can be found 4 municipality parking areas all free of charge with plenty of space. 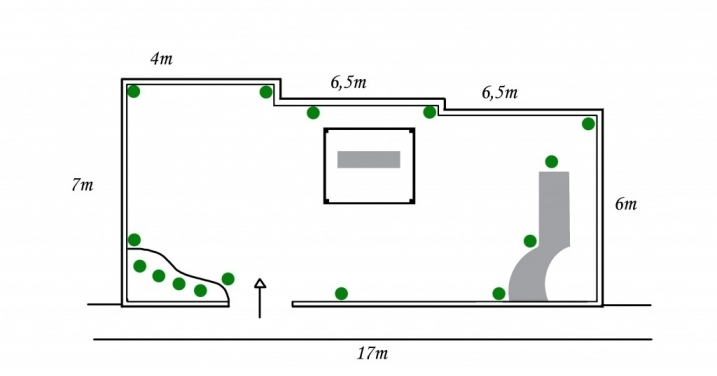 Located just 60 meters walking distance from the entrance to the traditional settlement. As in all the Santorini cliff side settlements no cars or motorbikes are allowed after a curtain point meaning that access is by foot but this also offers peacefulness and quietness with no distractions from city and background noises during your special moment.